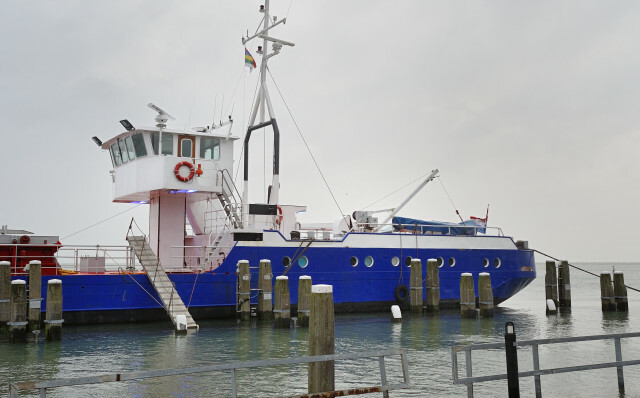 The vessel Miska, with homeport Terschelling, is moored in front of our door. She came in for shelter for high winds and seas. These winds are also responsible for the facts that the water is (again) higher as usual and that her gangway is leading to wet feet for sure.